Last night , I saw "The King's Speech" and, of course the subject of FDR (not in the movie, though I loved the portrayals of Churchill and Chamberlain) came immediately to mind. Highly recommended. Details of the June 1939 royal visit to America are beautifully documented on the website of the FDRL. Most of the photos are taken from the President's right. 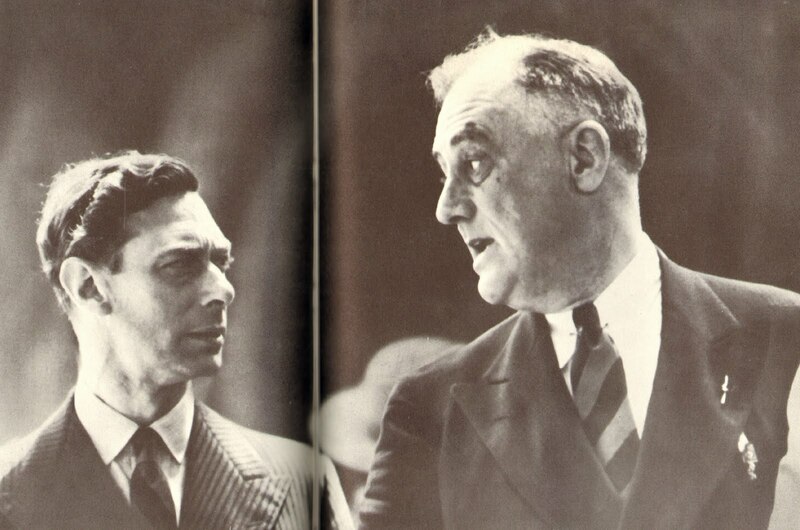 This picture of the King and the President, seen on pages 146 and 147 of a 1962 photographic bio of FDR by Graff, Ginna and Butterfield, is not included. As can easily be seen, FDR's "brown blob" at this time was nearing the zenith of its extent. Unlike FDR's melanoma, "Bertie's" stammer was not a secret and can be heard and seen on the wonderful website (my favorite video archive) of British Pathe. Here is a link to but one of the marvelous films that can bee seen without charge. I would also strongly recommend searching the site for Franklin Roosevelt, where countless videos of him can be seen as nowhere else. It was harder to hide the "blob" on video and the contrast between 1938/39 and 1942 provides stark and convincing evidence of how noticeable it was and how it disappeared. One of the stars of the 1939 royal visit was FDR's all time favorite daughter-in-law, Betsey Cushing Roosevelt (soon to be Whitney). Eleanor cared little for the pomp and circumstance of FDR's world and Betsey acted as more or less the official hostess for much of the visit and made a highly favorable impression upon the couple. While Princesses Elizabeth and Margaret did not accompany their parents, later, after Jock Whitney was appointed Ambassador to the Court of Saint James, the Whitney's and the new royals, Elizabeth and Phillip, struck up a close personal friendship with them and were among the very few who were addressed by their first names by HRH QE2! 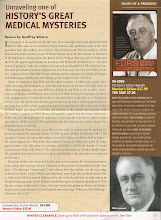 30 days to the release of my paper on FDR's epilepsy. Our book is now available in paperback.